Antigua is a city that is a UNESCO World Heritage Site, filled with Spanish colonial-era buildings and churches ruined by earthquakes. It’s easy to see why there are so many Spanish language schools and expats living here as it’s so utterly charming. I arrived in Antigua on a cloudy morning which hid the imposing sight of the Volcán de Agua (Volcano of Water). After a few hours of wandering around the clouds finally lifted and this magnificent sight appeared on the landscape. 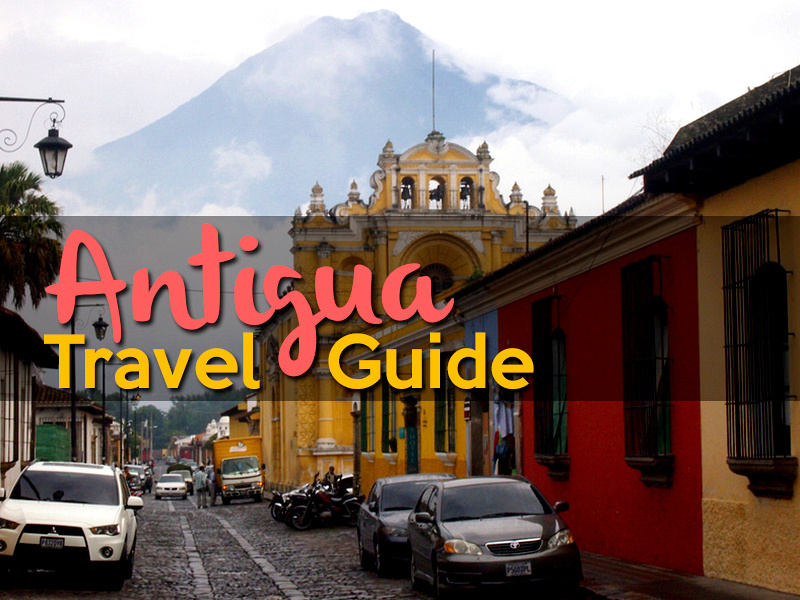 Here are a collection of travel resources to help plan a trip to Antigua. Antigua hotels – Search for discount hotels in Antigua. OK Antigua – A guide to visiting and living in Antigua. Our Man in Antigua – Adventures and misadventures living in Antigua, Guatemala, and traveling throughout Central America. Antigua Tours – Tours and things to do and selected by Viator. Antigua Photo Gallery – Photo gallery of my visit to Antigua.